If you were hooked on ‘Making a Murderer’ there’s a new series you must watch about a boy who has been missing for 20 years. Here’s why. Where do I start? My son Damien has been missing for 19 years. We have had an upward battle throughout these years to keep his case active. Our family struggled with the initial police view that Damien went off on his own for some unknown reason. We never felt this was the case, even when they said “He’s gone off for a funny five minutes Mrs. Nettles, be back by tea-time”. They didn’t think it was a problem, despite it being completely out of character. Since then, for 19 years we have pushed, poked and prodded the police and the local population for action or answers. We got little action but a lot of answers and the difficulty has been determining what was fact and what was fiction. Fast forward to almost 20 years and he still isn’t home for tea. The most important time in the case of a missing person is the first 48 hours. It’s a fact. 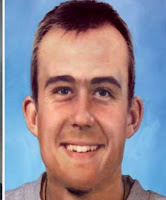 Despite a major search in 2011 along with eight arrests on suspicion of murder, 14 years after he went missing, the case remained a missing person case. It is a very odd place to be. His case had become both a suspected murder, AND a missing person case. Confusing. The case was wound down in 2014 and though it is not closed, it is also not active. Enter the BBC in 2015. I was contacted last summer with the prospect of having Damien featured on in a new cutting edge program on the soon to be newly re-formatted BBC Three. It was explained as an investigative journalism film. I felt I had nothing to lose. So I entered into the world of the investigative journalistic team and put all my trust and faith in them. I gave every waking minute, it seemed, to the team re-counting, re-hashing all the information. They made me dig deep into my memory. I thought I had it all right there in my head, but they pushed a little harder and sometimes I remembered something long forgotten in the murky mist of memory. They were tough but at every turn, their concern was for us and Damien. No promises were made to solve this puzzling case, but they hoped to dispel some of the gossip and theories surrounding it. The Isle of Wight is a small place and everyone knows each other. It is not the sort of place things like this happen. Many of Damien’s friends participated in the film and it was lovely to see them all. It was hard too, since they had lives and families and futures but Damien does not. His friend Alex wrote a particularly poignant song for Damien. It is a song about their growing up. One event in particular I recall vividly that he includes in the song and it is the day they crashed Alex’s mother’s car. They were about 13 years old and decided to sit in the Volvo wagon parked outside the house on a hill. Somehow, the car with the two boys in the front seat started to roll down the hill and I can see to this day Damien pull his long lanky leg quickly back into the car before he would have trapped it between the door and a lamppost. The car continued with the boys inside to roll down the steep road. Slowly, fortunately it rolled into a neighbour’s back garden. Not fortunate for the neighbour’s shed, but the boys were unhurt. These memories are like photos or movies in my mind are all I have and I cling to them. Like many other mothers of missing children, I mourn for my son while not understanding why and having no marker, no body, no finality. I have been fully supported by the charity Missing People over the years who continue to care about my family and Damien. Just knowing they are there when I need a friend is reassuring. I began my day, waking at 5 a.m. again and thinking about Damien. He was in my mind as I tossed and turned throughout the night. I don’t sleep well anymore. I ask myself the same old question “How did this happen? Where could he be? Did he die? Did he cry for us? Was he afraid and lonely? I think of all the worst possible scenario’s because I know nothing. That is the hardest part “knowing nothing”. I am always restless these days. Tired. So I get up, make coffee and begin my day. I work out at the gym most days early. I like that this time of the day, before other practical things need to be dealt with. This is my time. 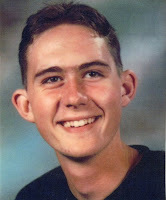 Time to think about Damien and time to answer emails or any information regarding the case. I received an email from another mother of a missing boy. She needed to talk to someone who would understand. She was having problems with her daughter. She wss feeling worn down and has lost her direction. She has lost herself in the darkness that has become her normalcy. “Why are you still functioning, your son is out there somewhere, probably in a shallow grave, here you are getting ready for work, but your son is out there somewhere, what are you doing?” I look away. I see all around me the preparations that I need to make to face the day and again, I wonder, “how do I keep going?” Life is routine, day in, day out. I work, my mind wonders constantly. Perhaps I could have had a career, instead of this one? My heart is back in on the Island where Damien disappeared. My mind is there too; I flit from present to past. What is this life? I am buried too under the thoughts, fears, and memories. The email from that mother reminded me who I am and what my life is about. It brought me back to myself. THAT is who I am. I am the mother of a missing child. This daily routine is a gossamer veil. No substance, it just faintly hides what lies beneath. It covers my life as I breathe. I go through the motions every day. No one can see past the veil. I have become adept living with it. Buy ‘Someone Knows – A Song for Damien’ by Alex Roberts here. 100% of the proceeds will go to Missing People.